Make your own wristbands with our online designer! Make your own Tyvek, Vinyl, Silicone and Fabric wristbands with our online custom wristband designer. With a simple step-by-step process, you'll find yourself creating wristbands in no time! Choose options such as serialisation, UV print, security foiling, holographic stickers to name a few! Not quite what you're looking for? Visit our home page and you'll find all our other wristbands, passes and other event products, all customisable with your own designs. 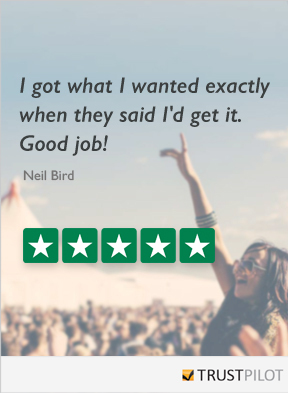 Our Wristband Designer has received an average of 9.3 out of 10 based on 740 reviews.